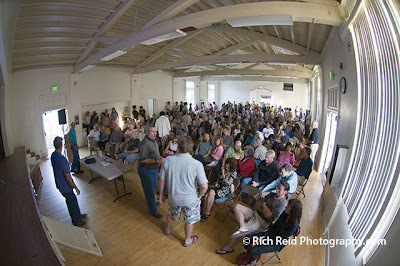 Almost 200 people packed into the Chaparral High School Auditorium in Ojai last night for the monthly Ojai Valley Green Coalition community presentation for the well publicized premier of Watershed Revolution. The 30-minute documentary film profiles our Ventura River watershed and the community members and organizations working to protect and restore it. It highlights the unique challenges faced by a river that is this community’s main source of water. The film emphasizes the need for floodplain protection, sustainable agriculture, and community awareness of local water resources. 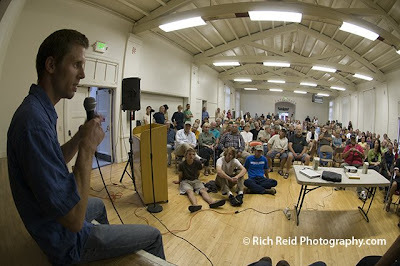 After the film there was a discussion along with a question and answer period, featuring local watershed activists Rick Bisaccia, Preserve Manager for the Ojai Valley Land Conservancy; Paul Jenkin of the Surfrider Foundation; Steve Svete of the Ventura Hillsides Conservancy; and Ben Pitterle, with the Ventura Stream Team of Santa Barbara Channelkeeper. The questions indicated the community awareness and concern about issues like Matilija Dam, land use, pesticides, water quality, the Ojai quarry, and more. 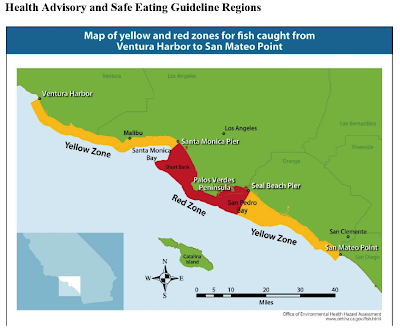 A total of 1,373 fish from 22 species or species groups were collected along the coastal waters of southern California from Ventura Harbor in Ventura County to San Mateo Point in Orange County. Fish were analyzed for one or more of the contaminants PCBs (polychlorinated biphenyls), DDTs (dichlorodiphenyltrichloroethane and its metabolites), chlordane, dieldrin, and mercury. 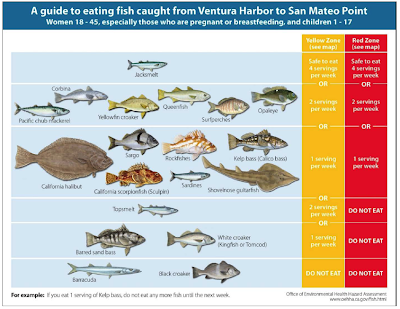 The Office of Environmental Health Hazard Assessment (OEHHA) evaluated the contaminant data to determine whether harmful health effects might occur if certain sport fish from these areas were eaten regularly. A related study also listed largemouth bass from Lake Casitas as having high levels of mercury. On February 14, 2009, seven members of the Sespe Fly Fishers in Ventura California met on the banks of the Ventura River just below the confluence of San Antonio Creek near Ojai, California. The objective was to plant 47 trees on the riverbank and adjacent area. The area is a restoration project named the Confluence Preserve under the management of the Ojai Valley Land Conservancy. This portion of the Preserve is a conservation easement on a private ranch. The flood of 2005 washed several acres of the ranch downstream. The Conservancy received grant funding to stabilize, restore, and protect the stream bank and remaining ranchland. Some estimates indicate that prior to modern mans intervention and diversion of the natural water flow, the Ventura River watershed could have supported over 20,000 spawning steelhead. In more modern times, prior to ground water pumping and the installation of the Matilija and Casitas dams, the river had been home to an annual run of approximately 2,500 to 5,000 steelhead. Recent returns of the endangered Southern Steelhead are down to about 10 fish per year. The Ventura River is a targeted stream for steelhead recovery. Preserving and restoring the riparian zone of the river is vital to the steelhead recovery effort. The Conservancy prepared the site by placing rock groins in the flat streambed overflow area, installed an irrigation system and mulched the site for weed control. What they needed were trees and planting labor.
. The Sespe Fly Fisher’s project had been in the planning stage for over a year. The club was looking for a meaningful way to express recognition of the commitment Yvon Chouinard, owner of Patagonia, has made to the club and the environment. Yvon’s efforts have a world-wide impact. Dennis Harper, the club’s Conservation Chairman along with Gary Bulla, the club’s Program Chairman researched the options for recognition of Yvon. A local area conservation project was ideal. They investigated several sites for a tree planting project. The club members provided the funds which had been donated for conservation efforts. Fifteen Sycamores, 15 Cottonwoods and 5 Coastal Live Oaks were purchased for the project. OVLC Program Manager Derek Poultney and Stevie Adams, the Ventura River Confluence Project Manager, provided guidance and coordination leading to a perfect wedding of the club’s desire and the Conservancy’s needs. Before water makes it way through the labyrinth of pipes and canals and dribbles out your tap, do you know from which river it originated? Or where it goes when it disappears down your drain? 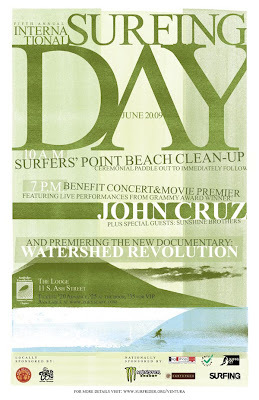 Saturday, June 20: world premiere of the film as part of International Surfing Day sponsored by Surfrider Foundation. 10:00am: beach clean-up at Surfers’ Point in Ventura, All clean-up supplies will be provided. 12:00pm: followed by a paddle out. Bring your board. 8:00pm: benefit concert will feature performances by Sunshine Brothers and John Cruz. 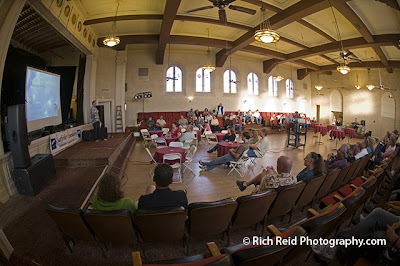 Tickets for the evening event are $20/$35 VIP, and are available at www.zoeyscafe.com. $25 tickets at the door. Wednesday, June 24 will be the film's Ojai premiere sponsored by Ojai Valley Green Coalition. 7:00 p.m. at the Chaparral High School Auditorium, 414 E. Ojai Avenue. Following the film there will be a discussion along with a question and answer period, featuring local watershed activists. Donation of $2. Another rockslide in May, 2009. This is an ongoing impact to the North Fork Matilija Creek. This week's edition of the VCReporter provides a local perspective on water. 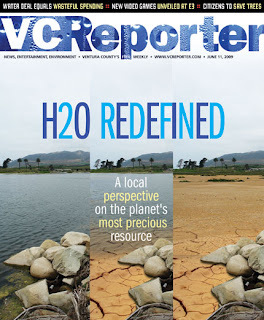 The feature article, H2O Redefined speaks of climate change and the growing threat of privatization of water supplies. It also includes a plug for Watershed Revolution. Although the future of cheap permitted gray water systems in the state of California appears to be a way’s away, for those who understand the importance of conservation and our severe drought situation, gray water is the future. We need to take it upon ourselves to start advocating for new ways to save our most precious natural resource. Indeed, this was one of the most tangible actions outlined in the 2050-plan-for-post-peak-oil-ventura. Widespread implementation of greywater would reduce the burden on our wastewater treatment plant, offset overdraft of our river and aquifers, and temper the waste of once-used water that has been treated to drinking standards. It would also create hundreds of 'green collar' jobs that would directly address our need to adapt to climate change (almost 20% of California's energy demand is in transporting and treating water.) The only thing stopping us is bureacratic inertia and overzealous regulations combined with misdirected incentives that continue to focus on centralized infrastructure. Here are two great events that we hope you’ll take part in! 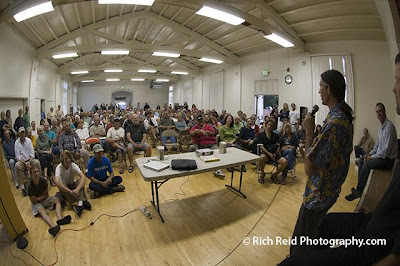 Nick Deitch presents an in-depth look at what New Urbanism is, and how it could play a role right here in Ventura City. He will share slides and a wealth of knowledge from his decades of work as an involved architect, designer, and activist. Afterword there will be a chance for discussion and dialog. This is a work and strategy meeting, so please do attend if you’re ready to roll your sleeves up, or if you think you might be ready to do so but need more info. Topics for discussion: We’re becoming more focused on promoting a city designed for enjoyment by people instead of for the storage of cars. Our last meeting sketched out a rough plan of action. Now, we need to decide on a name, vote on our new “statement of purpose,” and map out goals and objectives and milestones. Hope to see you soon. Please feel free to call if you have questions. 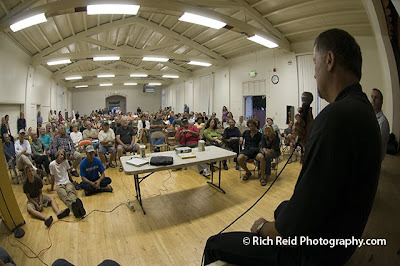 VCCool is a Ventura County global warming action group. Our mission is to engage all people of Ventura County in promoting a healthy climate. This event is one of a series of events that the VCCool New Urbanism pod is presenting to open the vision and the dialog for greener communities. If you have friends or people who could benefit from learning more, please invite them – this is an important chance meet and share. Please pass the word! International Surfing Day will begin with a 10:00am beach clean-up at Surfers’ Point in Ventura, followed by a paddle out at 12:00pm. All clean-up supplies will be provided, but bring your surfboard to participate in the ceremonial paddle out afterwards. 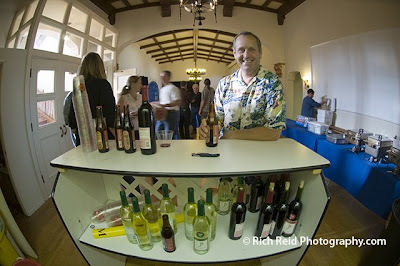 Zoey’s presents an evening at The Lodge, 11 S. Ash St., in Downtown Ventura, with other sponsors New Belgium Brewery and Barefoot Winery. There will be a VIP reception before the show for beach clean-up participants and VIP ticket holders. 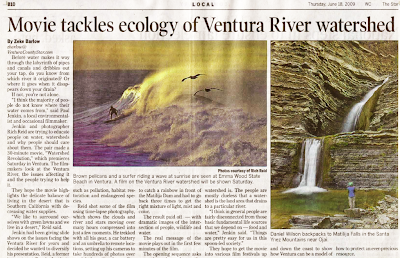 Doors will open at 7:00pm for the premiere of the independent film, Watershed Revolution, which profiles concerned citizens working to protect and preserve the Ventura River and our coastal resources. Then a benefit concert will feature performances by Sunshine Brothers and John Cruz. The event will include a live and silent auction with items from local business. Tickets for the event are $20/$35 VIP, and are available at www.zoeyscafe.com. Surfrider Foundation is collaborating with the NOAA Coastal Services Center and many other partners to advance local approaches to ecosystem-based management (EBM). 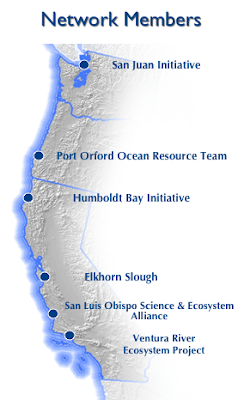 The West Coast EBM Network is a partnership of six community-based initiatives focused on the successful implementation of ecosystem-based management (EBM) along the coasts of Washington, Oregon and California. Priorities of the network include: shared learning between the six projects; identification of “best practices” for community EBM; and building political support for implementation. 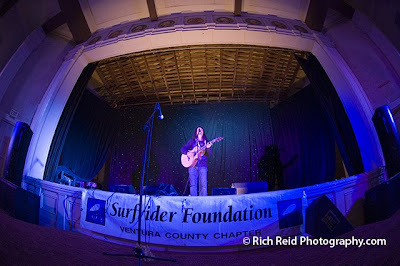 The Surfrider Foundation has formal involvement in three of the six projects including; Ventura, CA; Port Orford, OR; and San Juan County, WA. 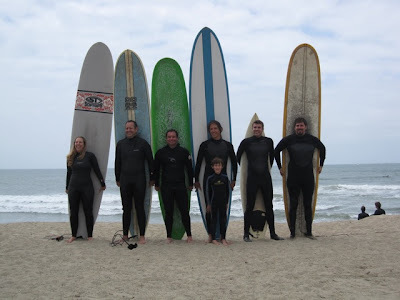 We look forward to sharing outcomes from the effort with other Surfrider chapters around the globe. For more information on the network, check out the new website.